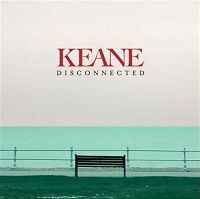 The song Keane - Disconnected is professional recreation. It is not by the original artist. Better Than This Keane Your browser does not support the audio tag. Crystal Ball (no vocals) Keane Your browser does not support the audio tag. Disconnected Keane Your browser does not support the audio tag. Is It Any Wonder Keane Your browser does not support the audio tag. Perfect Symmetry Keane Your browser does not support the audio tag. Silenced By The Night Keane Your browser does not support the audio tag.